London based artist Cera Alba returns with a deeply underground three track release on Santé’s highly acclaimed AVOTRE imprint, marking his return to the label after a series of high impact tracks over the past 18 months. 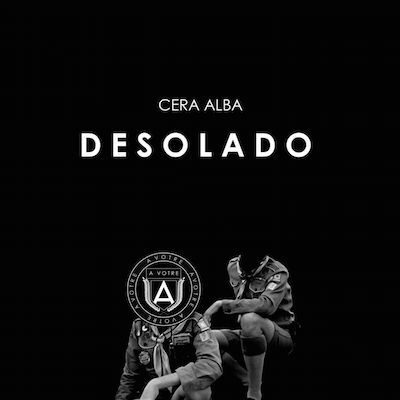 Title track ‘Desolado’ is an impressive display or Cera Alba’s continued evolution as a budding electronic producer. Exaggerated build-ups drop effortlessly into even bigger rolling basslines, while the almost garage-like synths dance over the quickening beat interludes to create a flawless club weapon, set to bring fire to dancefloors from Ibiza to Miami this summer. Opening with a punchy, rhythmic beat and quickening rolling synths, Cera wastes no time setting the pace on ‘Paladar’, a dancefloor ready track that makes a big impact on it’s own, while still sitting cohesively on the overall release. The soulful vocals add a new element to the big room club vibe of the track, before acid heavy synth interludes drop in to round off this rave-ready banger. Rounding off the release with another big, jacking house track, Alba adds a whole new sonic dimension to the release with ‘Eros’. The whispery, melancholic vocal brings a huge depth to the track, which alongside the wide, chunky bassline goes a long way to transport the listener from the main room, to the after-hours, while the looping synths keep the vibe decidedly current.